The goal of orthodontics is to create a beautiful smile and a functional and comfortable bite, which is how the teeth fit together when chewing or speaking. Nothing is more important to Dr. Meserkhani than giving you or your child a straight smile with a fully comfortable bite that will last them a lifetime. 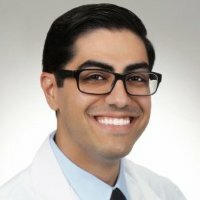 Dr. Meserkhani earned his Doctor of Dental Surgery (DDS) degree from Lomna Linda University, and continued his education for several years at the Roseman University of Health Science, where he achieved certification in his specialty, Orthodontics. He pursues his post-graduate education through prestigious orthodontic and dental organizations. Dr. Artin Meserkhani is passionate about orthodontics and helping patients of all ages achieve beautiful, healthy smiles. He is an excellent communicator who listens carefully, explains treatment options thoroughly and answers any questions you may have. He loves seeing his happy patients gain confidence with their smile. The American Association of Orthodontics recommends that children meet with an orthodontist by the age of seven. By beginning any necessary treatment at an early age, we can identify and correct problems before they become more serious and require more invasive procedures. During your child’s initial consultation, we will evaluate whether any problems such as an open bite, potential crowding or gummy smiles need to be addressed currently or in the future. If treatment is needed, Dr. Meserkhan will design a personalized treatment plan for your child. Happily, it’s never too late improve the aesthetics of your smile, and your oral health. Aside from affecting the beauty of your smile, crooked teeth and a misaligned bite can also contribute to gum and bone loss, tooth decay and abnormal wear of the tooth enamel and surfaces, as well as headaches and TMJ (jaw joint) pain. Traditional metal braces are the most common type of braces, especially for children. Recent improvements make metal braces more comfortable than they were previously, and your child has the option of customizing their smile with colored bands. Traditional braces are made with high-quality stainless steel and straighten teeth using metal brackets, wires and rubber bands. Ceramic braces are made with clear materials, making them less noticeable than metal braces. For adults and older children who have concerns about the aesthetics of their smile during treatment, ceramic braces may be the appropriate option. However, they are larger than metal braces and require closer attention to oral hygiene. Ceramic braces are also more brittle than metal braces, and are most frequently used on the upper arch. We also use Invisalign® to straighten teeth using a series of clear, comfortable plastic aligners that gradually and gently shift your teeth into the proper position. Learn more about teeth straightening with Invisalign. When faced with a jaw discrepancy, Dr. Meserkhan may suggest a two-phase plan for treatment. This is a highly specialized process that encompasses both straightening the teeth and making physical changes to the face and jaw through the use of oral appliances. An upper or lower jaw that is not developing properly can be diagnosed in children after age six. The first phase of treatment involves development of the size of your child’s jaw so that all their teeth may be accommodated and the relationship between the upper and lower jaw is healthy and functional. The first phase of treatment is followed by a period of rest that allows for the remaining permanent teeth to erupt. We monitor your child’s progress during visits every six months to evaluate their progress and determine if any teeth need to be extracted. During the second phase of treatment, we use braces to move each tooth to its proper location, and ensure that all teeth are in harmony with the gums, tongue and lips. Retainers help keep your straight, new smile looking great. Dr. Meserkhan will provide specific instructions on the amount of time you need to wear your retainers each day. Retainers should be thoroughly cleaned on a daily basis, and brushing your retainers with an orthodontic cleaner (not regular toothpaste!) eliminates plaque and odors. You should remove your retainers when eating or swimming, and always put them in the case provided for their protection. With proper care, your retainer can last for years.